Most schools have a safety program in place, but the current program may need to be improved. School security issues should be on the school board’s agenda and reviewed periodically. Children need a safe environment where they can learn, make new friends and grow. School safety is in the headlines and every school district should review their current safety program. Procedures should be in place that work together with students and staff to create a safer environment. Topics should be placed on the school board’s agenda such as weapons, violence and school security monitoring methods. There should also be a mandatory incident reporting system in place. This information can help improve the safety of schools. A brochure can be developed using crime statistics to keep parents, students and the community informed. School surveillance cameras should be installed in common areas of the school such as cafeterias, parking lots, playgrounds and hallways. A school security plan should include a plan of action for different types of incidences. Every student and staff member should be familiar with emergency procedures. Entry doors and windows should be secured at all times. A professionally monitored security system would be an ideal situation. If this is not possible on your current school budget, then they should be added to the school board’s agenda for discussion. Though there is no absolute guarantee for school safety, implementing additional security methods can reduce the school’s risk. The school board’s mission should include reviewing security procedures on a regular basis. Students should always be a part of the development of security plans and methods. They are the eyes and ears for school staff. Opening the lines of communication between students, parents and the school staff can result in effectively improving the current security system. Schools can develop a system that lets students report crime or violence issues to the staff and remain anonymous. This can be accomplished by developing a suggestion box or hotline for students. Programs that support and develop student responsibility should also be initiated. Many schools have uniformed officers that work on campus. School districts who do not have this security can request their local law enforcement agency to assess district schools and report their findings with school leaders. This can also help the school board recognize the need for additional security measures. Opening the line of communication between law enforcement and students is a good way for students to recognize the importance of local law enforcement. Many law enforcement agencies offer programs to educate students about crime. This can also help students develop respect and trust their local law enforcement team. A Crisis Response Team should be developed to respond to potential school emergencies. The plan should be reviewed and practiced on a regular basis. The response team must be able to handle emergencies in a calm manner. A response team that remains calm can help students and faculty members to stay calm. A leader for the response team should be chosen. The leader should also be an effective communicator, make quick decisions and have the ability to convey strength and knowledge to the students and staff. The response team should be large enough to undertake the tasks developed by the team. Rules and regulations exist to protect students and faculty. Schools should have their school policies available on their website or through a student handbook for students, parents and faculty members to review. Beyond the basics such as arriving to school on time and following the rules, the policies should be reviewed by the school board on a regular basis. It is important that schools enforce every school policy in order for students to learn about consequences. Consistent enforcement of school policies is a good way for students to learn self-discipline. Schools should have procedures in place that monitor school incidences of violence, illegal drugs and other issues that threaten the security of the school. There should be a plan that collects the data on incidence reports and analysis is important. Based on the analysis, changing existing school policies is possible. Data analysis can also help the school board recognize the district’s security needs. A plan to report and prevent student bullying should also be in place. If this data is analyzed on a regular basis, security procedures can be improved. Risk reduction and prevention programs should also be developed. Successful intervention depends on effective security programs. School-wide training drills should be developed and practiced by students and faculty. All schools should have a plan for welcoming students, parents and visitors into the school. Requiring each visitor to wear a name badge is a good way for hall monitors to recognize who should be in the building and who should not. Visitors should be directed directly to the office. A security audit should be performed by a professional security company or the local law enforcement agency. Some schools have installed metal detectors to monitor students and visitors. Not all school districts believe this is an effective method for deterring crime. The issue should be on the school board’s agenda for discussion. The school staff should be trained to recognize risk factors associated with violent behavior. Notification and activation programs should be in place. There is a variety of methods that schools use to notify law enforcement, students and parents of a potential emergency. Some schools use emails, intercom systems and district radio communications to send messages. If there is not a current notification and activation program in place, then this issue should be placed on the school board’s agenda. Schools should also develop a response that coincides with the particular emergency. For example, threats of violence will have a different response than a weather-related emergency. The security plans must be detailed and include every possible emergency situation and the best response for the emergency. Response protocols should also be developed to include identification of decision makers, student and staff safety and communication procedures. Acts of violence should initiate school lock and notification of local law enforcement. If the situation warrants it, then early dismissal or other procedures should be in place for that particular threat. Consider developing three special teams of school emergencies. Teams could be called the School Safety Team, School Emergency Response Team and a Post Emergency Response team. This would organize the action that is needed by all team members. Emergency efforts can be organized throughout the county and district. A review team could also be established to review school emergency policies. School security methods should also include limiting access into the school buildings. This can be accomplished by installing sensors and motion detectors to activate or deactivate the doors and windows. Limited access into the building will improve the security issues a school may face. Not all schools have the budget to include law enforcement offices to work inside and outside of the school buildings. Other methods such as security camera monitoring, alarms and student awareness can also improve school security. School security is the responsibility of every student, parent and faculty member. Parents should be make sure weapons are not stored unsecured. It is a parents responsibility as a gun owner to make sure they are stored safely away. Many times curious students have brought their parents weapon to school. Schools should make sure that students and parents are aware of the district guidelines and discipline procedures should a student decide to bring a weapon into the classroom. Weapon control is a great start to improving security methods. Hiring a professional monitoring company to monitor school cameras can also improve school security. 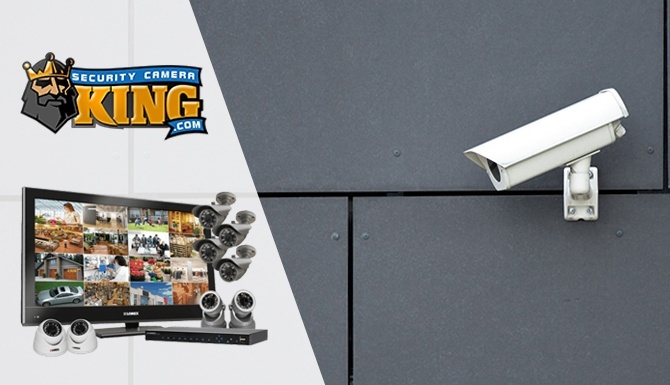 Surveillance cameras are an important reminder to students that they are being watched. This can also improve other issues the school may be experiencing. Bullying is a problem in many school districts. Develop a bullying plan that promotes education and communication between students, teachers and parents. Students should be able to report bullying incidents without fear. Many times the students know about particular bullying situations but do not know how to report it. Bullying has become a serious problem among many schools from elementary to high school. Bullying programs should be developed to protect all students from this. Bullying Awareness Programs are often an effective way to communicate to students and parents that the school will not tolerate it. Make sure the students are clear about discipline actions that will occur for this type of incidence. Students should be able to learn in a safe environment and not be threatened by other students. Make sure that students can report these incidents without having to give their name. This will ensure that the students can report these issues and improve the security of the entire school. School security should be a number one issue for every school. It requires the cooperation of everyone. Parents, teachers and students must work together to improve school security. 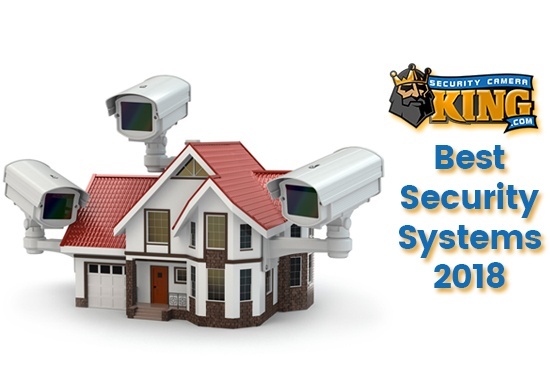 Contact us today to find out which system is the perfect fit for you.